Adventure junkies, get a triple dose of adrenaline! Embark on the toughest of Sahyadri and explore the Alang, Madangad and Kulang forts in Kalsubai range of Sahyadris in the Western Ghats situated in the Nashik district. Winter is coming and monsoons are over. 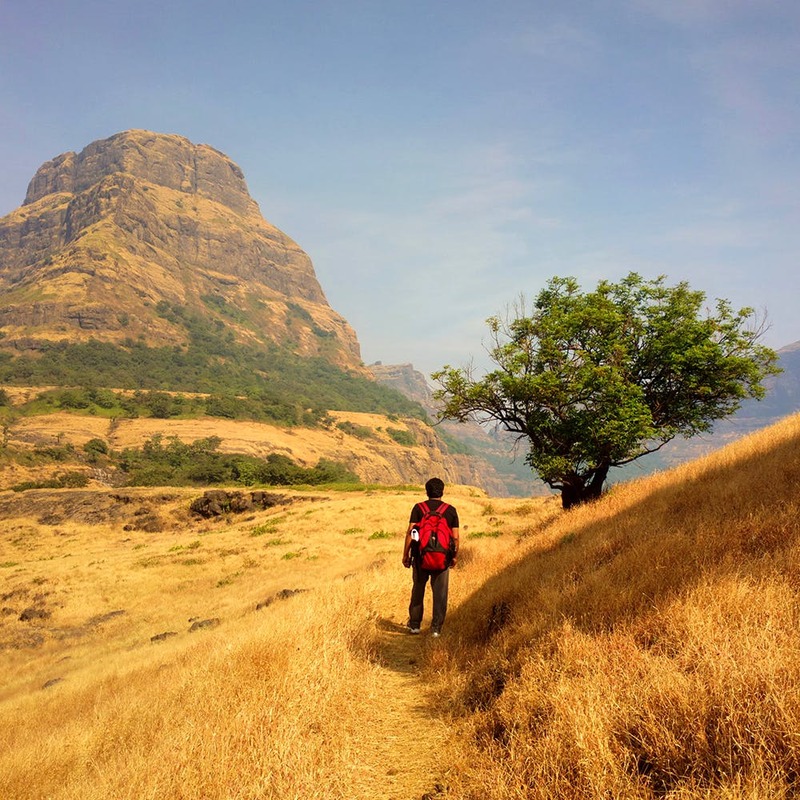 By this, we mean that this is the best time of the year to get your dose of adventure and embark on the toughest trek of Sahyadris- the Alang-Madan-Kulang trek which is approximately 175 km away from Pune. The trek consists of three forts namely the Alang, Madangad and Kulang forts which are steep and an architectural marvel. While exploring, you cannot get enough of beautiful sights of dense jungles, cascades and pristine wildlife. The Alang fort has a plateau on the top. You will also find several caves which can accommodate up to 30-40 people. The good news is that you will get plenty of expert guides who are there to help you have this adventure without any hassles. You will need them especially during climbing the Kulang fort as it is the most difficult one with sharp-edged rocks and steep rocks. You will find several caves and water bodies where you can stay as well. We recommend you take a food break and then proceed to explore the Madangad fort, which is another three hours away. This place also has a beautiful temple along with water cisterns and caves. we advise the trekkers to carry a first-aid kit, mats, torches, food, water as well as a permit from the forest department to venture into the area. What we love is the pristine beauty that the place is. If you are still filled with wanderlust, we suggest you check out the nearby attractions, which are aplenty. You can visit the Malshej Ghat, which is an hour's drive away as well as Bhandardara and its lake, which are hardly 12 km away. It is a long trek with a limited frequency of transport, which is there only till the village. Also, trekkers have to carry sufficient food and water along their journey as there are no refreshment facilities. We want these factors to be looked into. The difficulty level of this trek is extremely high due to extreme rains and negligence, hence, we suggest that beginners refrain from embarking on the trek alone.